It is one of the important herbs for Indian kitchen to make the Indian cuisine tasty. All the parts of this herb have very strong smell; hence it is called Ugragandha in Sanskrit. Ajwain has many health and medicinal values. It is well known seed for Instant Remedy for Stomachache. The seed, oil, flowers and extract are used as medicine for various diseases. It is also one of the potent medicines to kill worms. It is extremely beneficial for Earache, tooth ache, Influenza, Heart problems, Arthritis, Nasal blockage. The person feeling excessive sexual desire, may take it cool down himself. It has alcoholic qualities in a very mild form; therefore, it may be used as instant stomach pain. Ajwain +small quantity of salt, when sip with warm water is quite beneficial for indigestion and stomach pain. The person suffering from indigestion and anorexia, 1 tsp of Ajwain seed may be taken along with food. For chronic and recurrent cold, it is recommended to take fried seeds of ajwain in the dose of 2 grams for 15-20 days. Inhaling of its grind seed is also beneficial in case of headache, migraine and cold &cough. Chewing Ajwain seeds with lukewarm water is also a good cure for Cough. Inhalation of the smoke of Ajwain acts as bronchodialator and makes the breathing pattern easier. The person suffering from Asthma may take the paste of Ajwain + Jaggery, 1 tsp, twice a day. This mixture is helpful in asthma treatment. 1 tsp of Ajwain seeds + 4 tsp of Bael leave juice if taken 2 to 3 times a day, are effective in polyuria commonly seen in case of Diabetes. To get rid of Alcohol addiction, decoction of ajwain may be taken in the dose of 30 ml at night for 50 days. Persons, who use alcohol excessively, may experience acute stomach pain. For such patients 1 tsp of ajwain seeds may be consumed along with warm water twice a day. It has the ability to minimize the impact of threadworms and intestinal bacterial infection. Hence, it is good to give cholera patients. When the mix of Ajwain seeds +honey + vinegar is used for 10 days, it helps to dissolve kidney stone that ultimately remove with urine. Ajwain has appetite stimulating properties and on account of laxative components, it fastens the bowel movement and thus helps in weight loss. Regular taking of ajwain also helps to regulate obesity. Ajwain is one of the best herbal wonder drug for gas, flatulence and indigestion. Distilled water of it is good for the above said problems and also enhances appetite. Ajwain seeds have anti-hyperacidity properties. A patient of acidity or hyperacidity may consume ajwain along with lukewarm water + salt either in the morning or after meal. When taken for 10-15 days, it shows good result.Read Acidity Control and Prevention through Herbal means. Ajwain is known for multiple purposes including Curd recipes. It is used as one of the important ingredients for culinary and spice reasons all over the world. It is used to increase the flavour and savoury of cooking recipes. Ajwain is added in cuisine like bread, bean, lentil, snacks, biscuits, soups, sauce, etc. Ajwain is mixed with culinary at the final stage so that its fragrance remain intact. Its flavor and pungent come from thymol, an essential oil. It gives great aromatic base to the recipes when the roasted are used in culinary. Due to its flavour and fragrance as well as medicinal properties, ajwain is used widely as spice. Ajwain is added at the last process of cooking. The pod of ajwain has dominating flavor, so even a small quantity of it is sufficient to give pungent smell to the recipes. This powerful fragrance comes to ajwain due to the presence of Thymol. It is good for digestion and often mixed with baby milk. Used as dishes Tadka due to its strong flavor. Due to its multiple benefits; it is the part and parcel of every Indian kitchen. Ajwain tea is known for pungent smell. Ajwain Chai is beneficial for cold treatment. Ajwain is useful for all the seasons, however, it show good result during rainy and winter seasons. Ajwain seeds are rich in minerals both macro nutrients and micro nutrients. It is used in case of digestion problems, gaseous problems, antiseptic, antipyretic and expectorant. How to make Ajwain Chai is the important question? For this take One and half cup of water, mix a teaspoon of black or green tea. Boil it, add some ajwain. 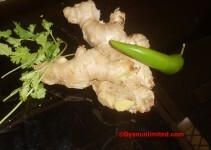 Elaichi/Ginger may also be added to enhance the taste. Milk may also be added along with honey or sugar. 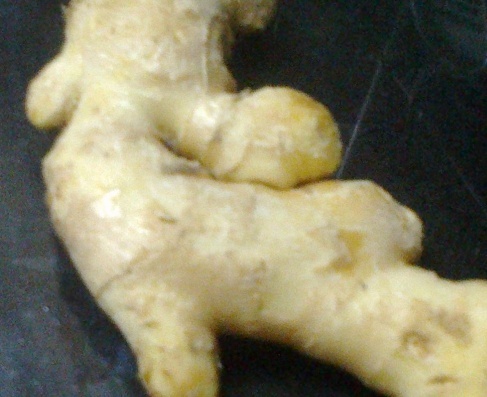 The addition of ginger or Elaichi increases its medicinal benefits. Ajwain is the important ingredient in Indian kitchen. Ajwain or Carom seeds contain nutrients and minerals. It is having fat, protein, fibre, sugar, minerals, calories, etc. If one take 100 gram of Ajwain; the carom seeds contain following nutrients: Calories(305), fat(25gram), Saturated Fat (4 gram), Polyunsaturated Fat (15gram), Môn saturated Fat (5 gram), Sodium (10gram), Carbs (43gram), Fibre (39 gram), and Protein (16 gram). Due to its medicinal value, people like to eat after meal. How to make Ajwain Paratha? Take the wheat flour in a clean plate. Mix it with warm water and make it lumpy. Continuously mix it along with other ingredients so that it fully converted into dough and ready to prepare Paratha. Leave the dough for 15-20 minutes before making savoury and tasty bread. Now make small small dough and rolled into flat shape. Put it into the tava and cook both the side properly. How to prepare Ajwain Paratha? The following Ingredients are used in making of Ajwain Paratha. Ajwain seeds increase gastro-intestinal secretions which enhances the efficiency of digestive functions. Thymol, the essential oil extracted from Carom seeds are used as anti-bacterial and anti-fungal. Ajwain which contains the highest percentage of Thymol is used as antiseptic and in the treatment of cough and asthma. Carom Seeds are effective for respiratory problems such as common cold, cough, bronchitis and nasal congestion. If somebody takes excessive beverages, especially alcohol, eating ajwain twice a day reduces craving for alcohol. Ajwain oil is good for leg massage. Practising such massage helps to cure rheumatic arthritis. Gargling ajwain water is helpful in curing of tooth pain. Ajwain fumes are also used in case of toothache. Ajwain seeds are good in removing of kidney stone. It is suggested to take ajwain seeds along with honey or vinegar for 15-20 days. Take roasted ajwain seeds; and boil it in a glass of water. Drink the strained mixture. It is beneficial in curing of acidity and indigestion. Due to the presence of Thymol, ajwain is used as in curing of colic, muscle spasms, cramps and edema. The paste made up of crushed ajwain seeds and curd are used in treating of pimples, acne, blemishes and blackheads. Ajwain extraction is used in treating of flatulence. Ajwain seeds are effective appetizer and also used as laxative. It is beneficial in case of vomiting, mouth diseases and piles. There are more benefits of ajwain like congestion cough removal in chest . This is really a wonder spice. Ajwain is really good for gas problems …I remember my grandmother gave me whenever I have pain in my stomach. I have a itchi skin problems and it is affected in some of the body parts. I have done blood test and some of the told me it is due to medicine or carpet allergies but still to day I am not reach to the results. I have started use of Ajwain seed but I don’t know how to use. I am living in Melbourne Australia from 2013 and than skin problems started, before thats I was in India. I hope you will be guide me in this matter. I have used it , really it’s amazing.. Best for digestion , cold and all the other problems stated above…. I have a skin problem. Since few months i am having iching problem all over my body and after that hard kind of pimples sort of over growth appears on my body what should i do its very irritating sometime. 1) for running nose/sneezing starting practically every alternate morning! Ajwain used fish curry is good for people after pregnancies to remove impurities from their body. Is ajwain good enough for weight loss?? Ajwain is a good remedy for gas trouble .In stomach pain gives good relief. Excellent information that boon for health . n immediate I used ajuwain seed ..its really great. ..
herbal spices are very useful and beneficial for most of the common health .problems. daily use as mentioned in this article is very helpful remedy for gas etc. Your post is amazing! Content is easily readable I really loved it. Thank you for your wonderful information!